Opals have been regarded as talismans of good luck for centuries and have been imbued with connotations of magical properties across civilizations. 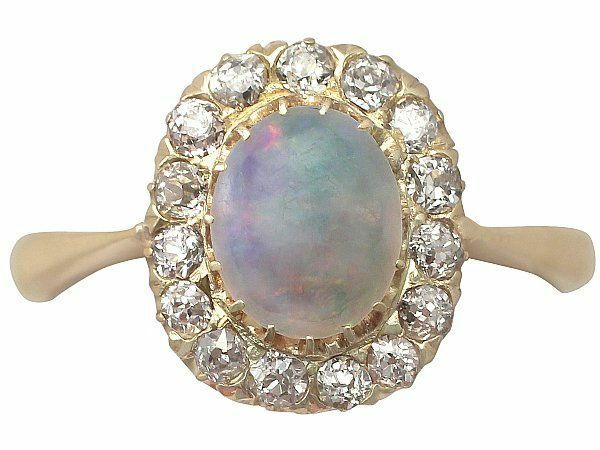 It is understandable that, before the explanations provided by modern science, people were mystified by the mystical appearance of the opal to the point where they believed it to be otherworldly. Opals are mineraloids that are formed from hardened silica gel – yes the very same stuff you find at the bottom of a new handbag! – and because they can contain anywhere between 20% and 2% of water, they are not crystalline, unlike most gemstones. This is also the reason that opals are more delicate and softer than most other gemstones. If they are kept in heat, the moisture that is naturally tapped inside could be dried out, causing splits and fractures (this is known as crazing). The opal’s iridescence is a result of the way the stone is formed. A combination of the varying sizes of the silica spheres, and the stacks they arrange themselves into during formation, create the spectrum of colours that we can see. Light refracting from these molecules arranged in different levels causes the light refraction that the opal is famed and adored for. These refractions have the effect of displaying colours across the light spectrum. The larger the spheres of silica in the opal, the greater the range of the colour spectrum that will be displayed by the opal. Additionally, more uniformed and tightly packed the silica spheres contribute to a wider the range in colours seen from the visible spectrum. Blues and greens will normally be present. When the above mentioned happens, it means that light has been split even further so reds and oranges will appear. This is because, on the spectrum, violets blues and greens are a lower value as they have shorter wave length than reds (violet is about 400nm red is 700nm). This phenomena is exclusive to opals and is known as the ‘play of colour’, which is the variation and abundance of colour that the human eye can detect looking into an opal. There are many types of opal, and the type is often determined by where the opal is discovered. 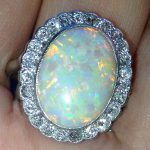 They can be categorised into three main categories of colour and varieties: Precious Opals, Fire Opals and Common Opals. Precious opals: Generally speaking, dark and black opals (which fall under the ‘precious’ categorisation) are the most sought after, and these are usually found in the mines around Lightning Ridge in New South Wales. The description of ‘black’ refers to the background against which the play of colour is displayed- the dark backdrop allows for a truly exceptional display of colours. The colour patches are irregular and iridescent, normally changing as the stone is tilted. Australia is the largest producer of opals (with a massive 90% coming from there) so it makes sense that opals are their national stone. Ethiopia, Mexic0 and Brazil are also major producers of opals. Common opals: The most commonly found opals – and the opals that are most frequently found in vintage and antique opal jewellery – are the lighter opals or white opals. They can be made from translucent to opaque materials. They feature a range of colours yet nowhere near to the same extent as precious opals. Fire opals: These impressive opals can be found in Mexico (frequently in areas such as ‘Queretaro, Jalisco, Chihuahua and San Luis Potosi) and their colour varies from reddish-brownish- yellow to a bright or deep orange. They may display of play of colour. Transparent variations of the bright stone can also be faceted. Other forms of opal – defined due to to their formation rather than their colour – are the boulder opal and matrix opal. Both of these types of opal are attached to or formed within rock or ironstone, which can create a very striking visual effect. Sometimes the ironstone provides a darker background as a contrast to the opals infamous play of colour, or – as with matrix opals – flashes of the opal appear in veins of colour from behind the ironstone. The third category of opal encompasses the doublet and triplet opals. Rather than being a naturally occurring type of opal, this type is distinguished by the way in which the opal has been cut and displayed. Doublets and Triplets (otherwise known as composite stones) are types of opal which have been backed by a dark background setting. This gives the same impression as the naturally occurring dark or black opals. 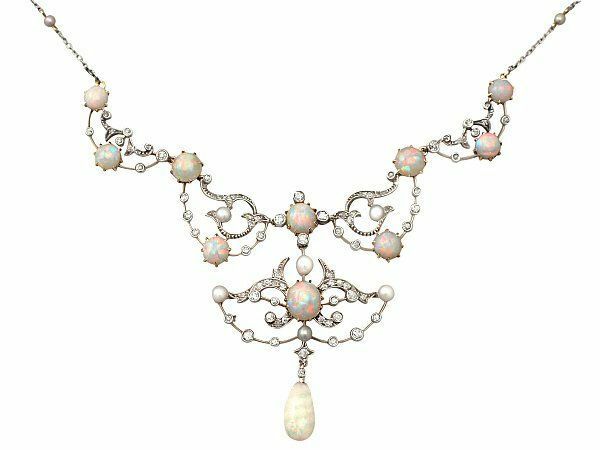 A doublet will be of of higher value than an triplet, as they use a larger weight of opal than an opal triplet. However, the lack of the resin or protective layer over this large opal means this type of setting is more susceptible to breakage, drying and cracking. Triplet opals feature the same dark background, yet also have a resilient protective layer over the opal itself. This type of opal is perfect for those who admire the stone yet are cautious of its durability. Doublets and triplets are normally larger opals, used in necklaces and dramatic, larger items of jewellery. Opals are more demanding than most stones. They need to be stored out of direct sunlight and should not be exposed to soaps or perfume- chemicals in general are not the friend of opals. However, even if the opal requires slightly more care and attention than other stones, they also can provide a lifetime of joy and pleasure if cared for correctly. Furthermore, opals are not as hard wearing or durable as gemstones such diamonds, sapphires, rubies and emeralds, but their delicacy adds to their desirability. The fallible properties of the natural opal add to the stones’ exclusivity and air of ephemera and pieces featuring large natural opals are highly coveted. 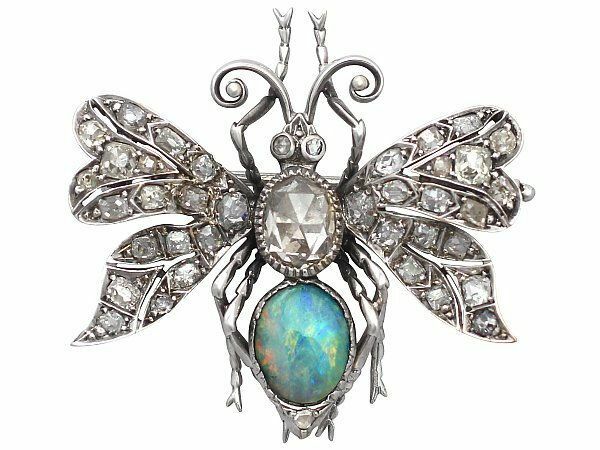 Opals were considered to be bad luck during the 17th and 18th century, during which time jewellers had great difficulty in setting and cutting them. The superstitious connotations were due to their lack of resilience in comparison to other stones and gemstones. This rigidity is also a contributing factor in the shape of most opals we find contemporarily, as well as those we find in antique and vintage jewellery. 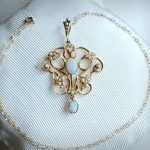 Opals are usually cut in an ovid shape or into a cabochon, which presents the jeweller with the least possible opportunity to break the stone. These cuts are also the most effective shape to display opals iridescence and play of colour. Currently we have a wonderful range of vintage and antique opal jewellery at AC Silver, including an opal triplet which is a more resilient form of opal. Opal triplets are slices which are mounted on a base (onyx/quartz) and are covered by a protective layer, often made of resin, glass or transparent quartz. These give a similar appearance of a normal opal, yet have the benefit of being protected by the hard wearing surface layer. Opal triplets are more affordable than true opals; there is a larger stone content in the normal opal, and in the opal triplet there are less expensive elements contributing to the size of the stone. The visual effect of the opal triplet is nonetheless stunning and the aesthetic properties are barely differentiated from the true opal to the naked eye. 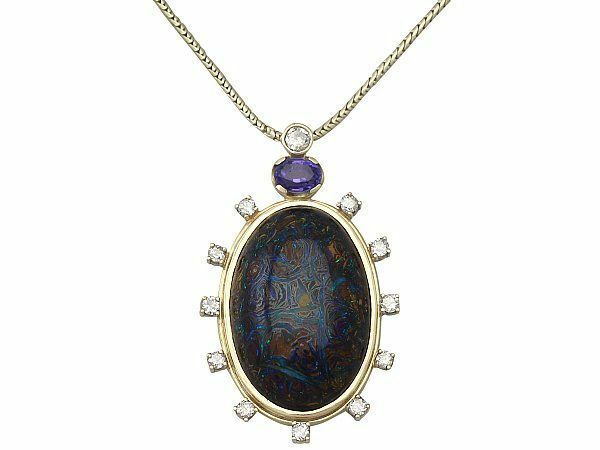 A boulder opal is an opal which has been formed around or against another non opal stone, usually an iron-stained sandstone. These slivers of opal which are visible through the host rock are so fine that it is impossible for the opal cutters to separate the opal and the rock without hugely diminishing the size of the stone. Matrix opals are a type of boulder opal. This spectacular opal (pictured above) is a spectacular example of both a boulder opal and a matrix opal. It showcases the thin veins of colourful opal forming in cracks and fissures in these boulders. Due to the dark backing provided by the ironstone, boulder opals generally have a darker tone which provides a greater contrast to the vibrancy in the play of colour. The thinness of the bar of colour in boulder opals means that a high cabochoned surface is extremely rare, and boulder opals usually have a flat surface. At AC Silver, we are able to provide our customers with an example of the very rare, high cabochoned boulder opal which has been cut into a beautiful oval shape (rather than being left as a free-from shape, like most boulder opals). This piece is extremely rare and the setting is a very sophisticated example of the use of boulder stone. 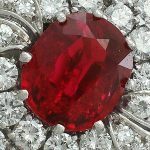 We have truly fallen under the spell of these wonderful stones, whether in contemporary jewellery or vintage and antique pieces. Their timeless elegance coupled with their eye-catching play of colour and vibrant properties make them a magnificent choice for jewellery which brings joy to the wearer. I had enjoyed reading about your opals writing, I have developed interest for opals when I came to four kilos of mixed variety of rough opals including black opals but they aren’t from down under so I was looking for advice as to how to cut & polish. Opal is a colorful gemstone and steals many a hearts via its appearance. Opal is my birthstone and also one of my favorite gems. 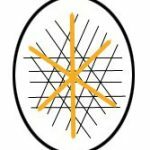 I like this blog, the way you described opal gemstone is awesome. Previous Entry: What are Grape Shears?